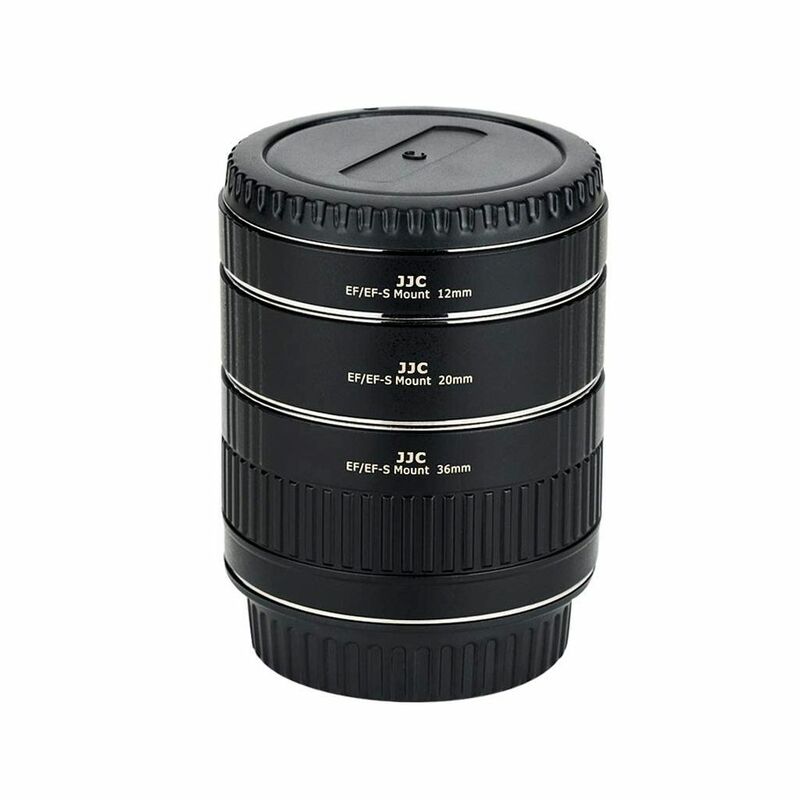 The Canon EOS Auto Extension Tube Set enables a lens to focus closer than its normal set minimum focusing distance. 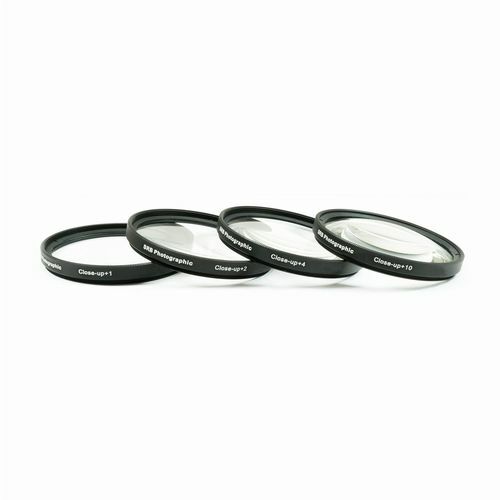 The Canon EOS Auto Extension Tube Set consists of three different sized extension tubes that fit a Canon EOS camera and enable the lens to focus closer than its normal set-minimum focusing distance. 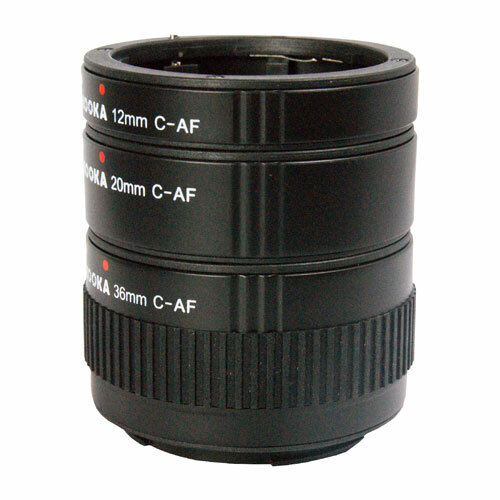 These Auto Extension Tubes are mounted between the Canon EOS camera body and the camera lens. The Canon EOS Auto Extension tube is designed with all the circuitry and mechanical coupling to maintain the camera's TTL auto exposure. 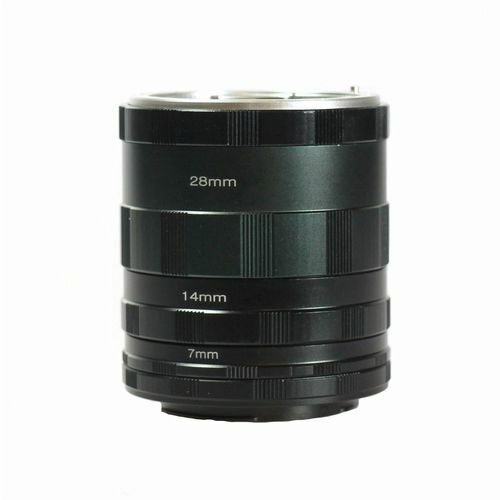 This extension tube is aluminium constructed, protected with front and rear caps and compatible with Canon EF & Canon EF-S set ups.